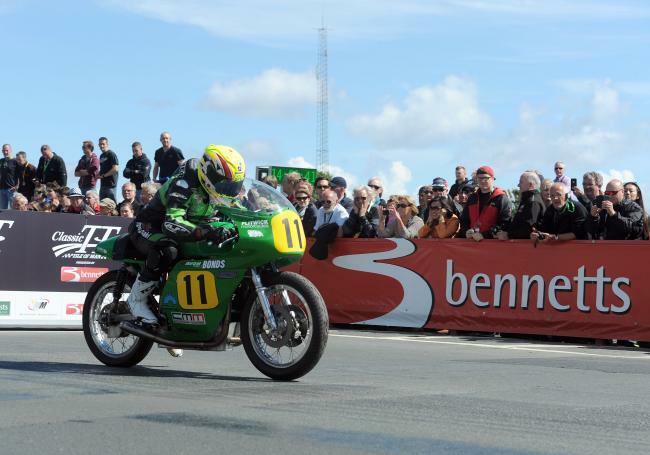 With the dust now having settled on the record-breaking 2015 Isle of Man TT Races, attention now turns to the Classic TT presented by Bennetts, which sees riders, and machines tackle the Mountain Course again, and the curtain raising Bennetts 500cc Classic TT Race is set to provide equally stunning excitement. 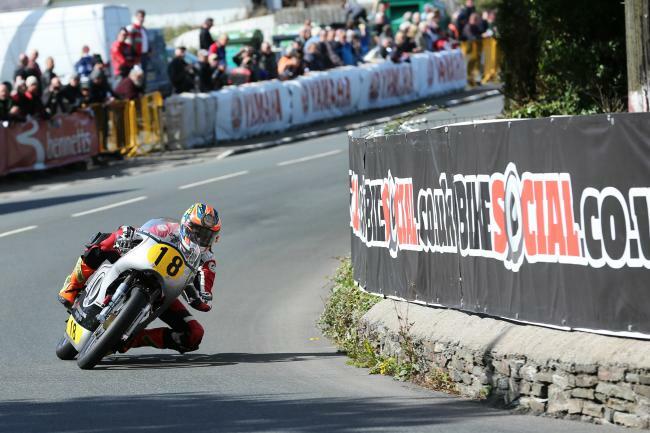 The entry list is a who’s who of both current TT stars and established Classic contenders, and if the previous two installments of the race are anything to go by, picking a winner will be no easy task and we’re set for an enthralling, action packed 4-lap race. A full grid of 90 entries has been received with 23-times TT winner John McGuinness topping the list and he’ll start at number 1, once again riding Roger Winfield’s Paton. He lapped in excess of 112mph in practice 12 months ago only to retire on the first lap so he’ll be hoping for better luck this time around. The same applies to team-mate Ryan Farquhar. 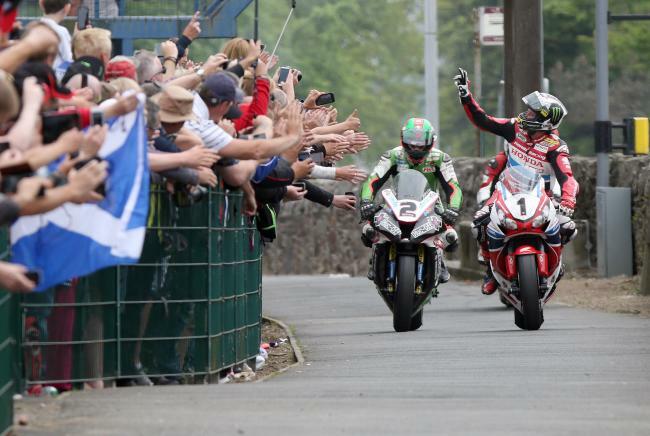 The Dungannon man also led last year’s race before falling by the wayside but five victories in the corresponding race at the Manx Grand Prix show he’s a potential race winner. The third potential victor on the Italian Paton is Ian Lougher who took last year’s race win and only narrowly missed out on setting a new lap record. Riding the Giovanni Cabassi/Flitwick Motorcycles machine, he’ll set off at number 11, two places behind Farquhar. Three of their strongest rivals will come from the formidable looking Team Molnar Manx who’ll be fielding Michael Dunlop (3). Dan Cooper (5) and Cameron Donald (8), the latter making a welcome return after injury forced him out of last year’s event. All three have proved their credentials and with all three on Andy Molnar’s 4-valve machines, their progress will be eagerly watched. Michael Rutter was another rider to lead last year’s race before retiring and the Midlander became the fastest ever rider on a British single cylinder machine so it’s clear the Ripley Land Racing entrant is capable of standing on the top step. He sets off at number two and the list of potential winners keeps coming in the shape of Gary Johnson (John Chapman Racing), Dean Harrison and Lee Johnston (Black Eagle Racing) who’ll all be mounted on MV Agustas. Johnson and Harrison missed last year’s race whilst Johnston won the 350cc encounter so their threat cannot be ruled out. They line up at numbers 7, 12 and 13 respectively. Davies Motorsport also have two riders capable of the victory on their Honda machines with William Dunlop (6) and long-time Classic race exponent Alan Oversby (15) continuing with the team for a third year. Meanwhile, Bennetts Lightweight TT winner Ivan Lintin makes his Classic TT debut riding Brian Richards’ 4-valve Matchless. Olie Linsdell, the inaugural winner in 2013 and current lap record holder, returns at number 4 on the Flitwick Motorcycles 500cc Royal Enfield and will be gunning for a 110mph lap with Keith Amor (Dunnell Racing), Jamie Coward (Craven Manx), Chris Swallow (D.G. Kenah), Wattie Brown (Team Molnar Manx) expected to be other leading contenders on Norton’s. Honda have further representation in the shape of Conor Cummins and James Hillier and the CSC Racing pairing will be hoping for a strong showing on their improved machines. James Cowton (D&M Racing), David Madsen Mygdal (Gimbert Racing), Pete Boast (MCN Sport), Paul Coward and Chris Petty add further weight to the Japanese challenge. 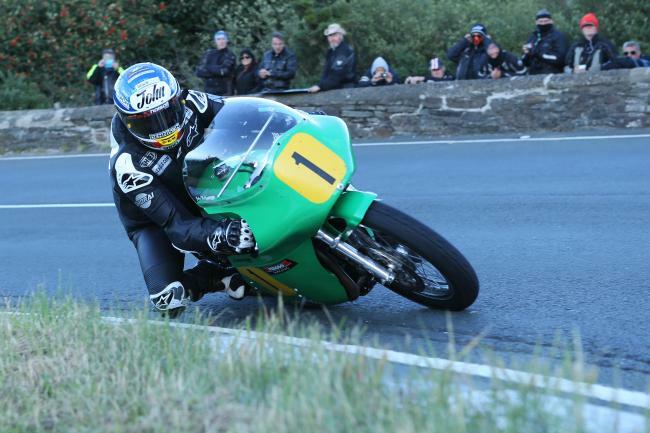 The quality of the entry is endless and other names to keep an eye on include Maria Costello, Mark Herbertson, Nick Jefferies, Allan Brew, Mark Parrett, Meredydd Owen, Barry Davidson and John Leigh Pemberton with Horst Saiger making his Classic TT bow on an Egli-Vincent. Dan Cooper 2nd in the 2014 race, will be looking to put the Molnar Norton onto the podium again.